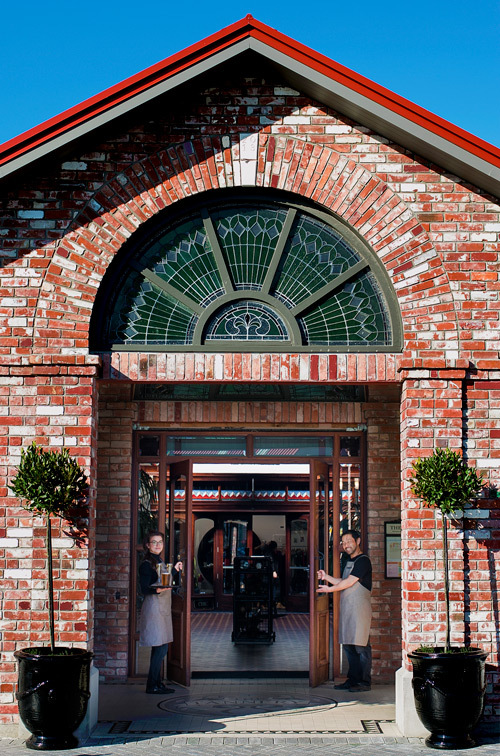 The Tannery is one of the most spectacular wedding venues in Christchurch. 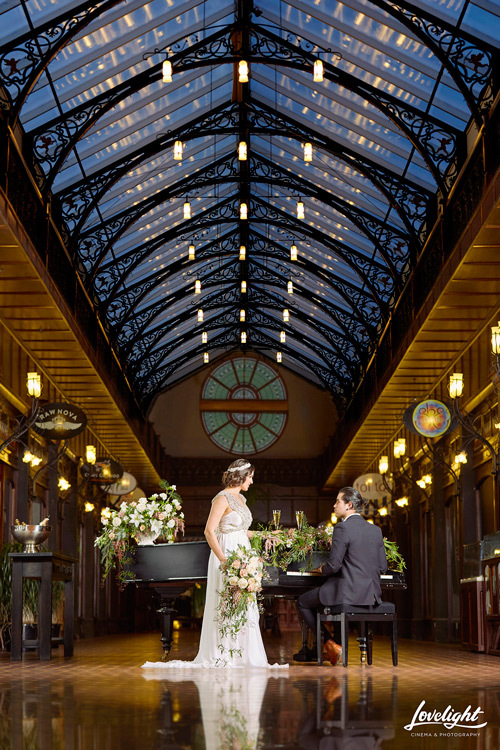 Combining exquisite architectural features with unique service and superb cuisine, it has become a wedding venue location for those who appreciate an unparalleled experience. Event management team to help you plan the perfect wedding. The Tannery offers a year round wedding venue, for both wedding ceremonies and receptions, and is particularly stunning for winter celebrations when the fairy lights are being switched on in the arcades. 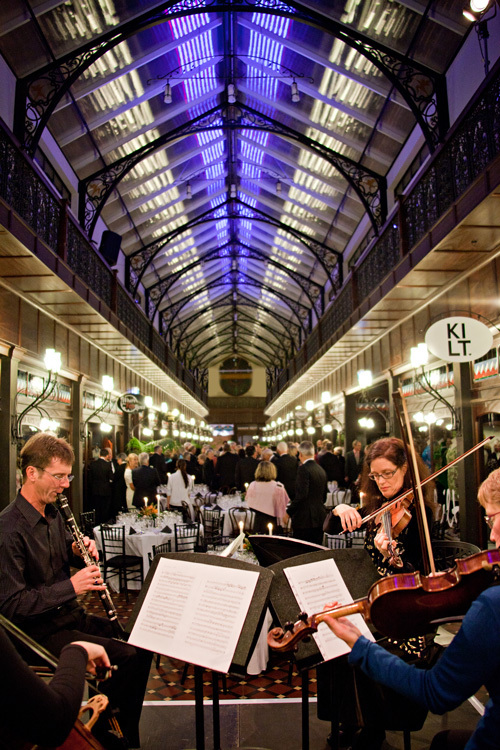 There are a variety of venue locations within The Tannery available, giving you the flexibility to choose what will suit your wedding size and budget. You could choose to have your ceremony elsewhere and arrive in style for your Tannery wedding reception. 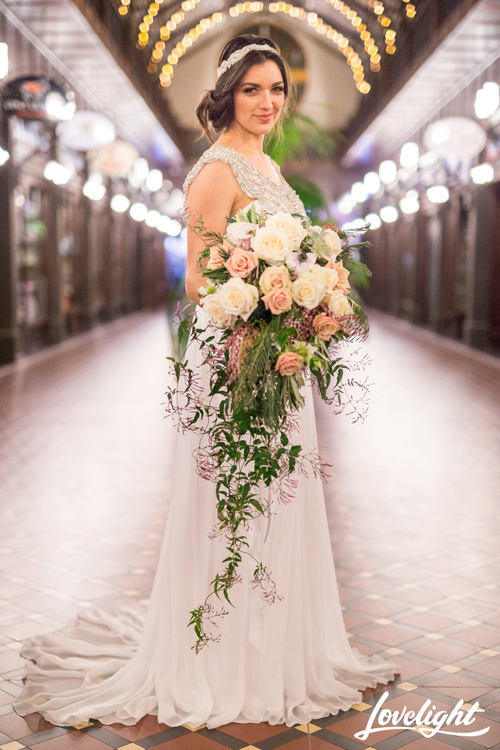 Alternatively your celebrant could conduct a romantic evening ceremony in the atrium, amid the cathedral-like arch of the glass roof, followed by photographs in the most amazing location imaginable. The Tannery offers high quality, exclusive in-house catering for your wedding event. Our chefs will create a gourmet wedding feast expertly matched with genuine Cassels & Sons craft beers and excellent wines. Special dietary requirements can also be accommodated by arrangement. Couples can have complete trust that The Tannery’s event management team can coordinate a seamless occasion of visual and culinary sophistication based on impeccable service. With easy parking for guests and exclusive use of the venue, your wedding at The Tannery will be elegant, memorable and extraordinary. View our wedding brochure here, or Email us, use the wedding enquiry form or call us on 0800-4-TANNERY to arrange a quote or to have a look around. Imagine having your wedding beneath the stunning glass atrium, gliding across genuine French tiled floors in your gorgeous gown, treating your guests to an elegant evening soirée with fine food and wine, then dancing until late in a gallery that is reminiscent of Parisian style or Hollywood glamour.